Maya Aziz has a lot on her mind. Her overly protective Hyderabadi parents want her to go to college to study medicine near their home in suburban Chicago area, most likely so they can keep flinging "nice Indian boys" at her. Maya, however, wants to go to film school in New York City; she's gotten in, but is afraid to tell them. She has just been forcibly introduced to Kareem, who is 21 and "very suitable"... and also super cute and fun. The two start to date a bit, but Maya also has come to the attention of Phil, her long time crush. He's sort of on a break from his long time girlfriend, and the two spend a lot of time together. Some jerks in her school give her a hard time, but Maya is having a great time, dating two nice guys. If only she didn't have to worry about telling her parents about college. Of course, given the times that we live in, eventually reality intrudes and Maya has to deal with horrible Islamophobia in the wake of a terrorist attack near her town. Strengths: The romances in this were quite nice and sweet, even if Kareem was 21. Maya's parents approve, after all, and nothing really happens. The romance with Phil is nice, too, but they are both just started relationships. The inclusion of the current events really can't be avoided today. Weaknesses: Definitely young adult, with some language and a few situations. Too bad. What I really think: I would definitely buy for a high school library, but will pass for middle school. At some point, this will be a completely run-of-the-mill teen romance. Now, it's getting a lot of attention for being #ownvoices and including current events, but it seems to me that there have long been LOTS of books by Indian writers. Perhaps just not Muslim ones? 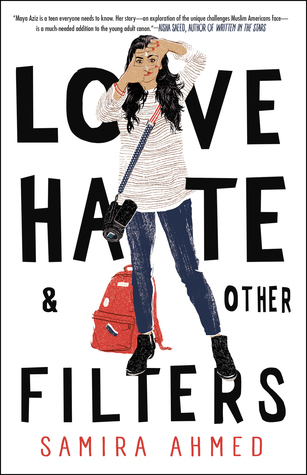 This was rather fun, but it's more of a YA book due to language. 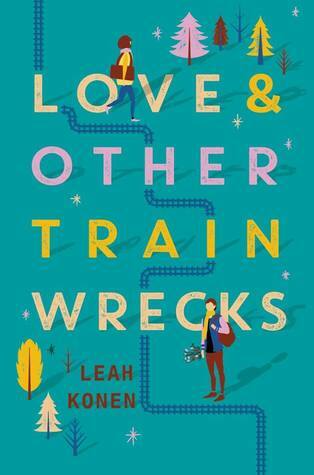 Bonus points for including some adventure with the romance, and fantastic descriptions of riding on commuter trains on the east coast. Felt like a movie from the 1950s. Definitely investigate for high school. After a train-wreck first encounter between the two of them, the Amtrak train suddenly breaks down due to a snowstorm. Desperate to make it to their destinations, Noah and Ammy have no other option but to travel together. What starts off as a minor detour turns into the whirlwind journey of a lifetime, and over the course of the night they fall in love. But come morning their adventure takes an unexpected turn for the worst. Can one night can really change how they feel about love...and the course of their lives forever?"